God blessed Abraham in every way. He blessed him with great herds of sheep and cattle, camels and donkeys; tents filled with treasures of silver and gold, and servants to take care of it all. But it wasnt all that stuff that made Abraham rich. Abraham knew that everything he had was a blessing from God. When Abraham woke up each morning, he remembered that God was with him, and that God loved him so much. Thats what made Abraham truly rich. What a blessing it is to know that God loves you! But Abraham was getting old. His son Isaac was getting older too. And so one day Abraham sent for his most trusted servant. And so Abrahams servant took ten camels and piled them high with treasures from Abrahams house. When all was ready he took his men and set out for the land where Abraham was born. It was getting towards evening when he came to the town of Nahor. There was a well outside the town, and Abrahams servant made his camels kneel there, beside the well. Before he had even finished praying, Rebekah came out to the well with a large clay jar on her shoulder. She was very beautiful. Rebekah went down to the spring and filled her jar with water. Drink, my lord, Rebekah said, and quickly she lowered the jar to her hands and gave him a drink. And then she said, I will draw water for your camels too. So she quickly emptied her jar into the trough, ran back to the well to draw more water, and drew enough for all his camels. Abrahams servant watched her without saying a word. 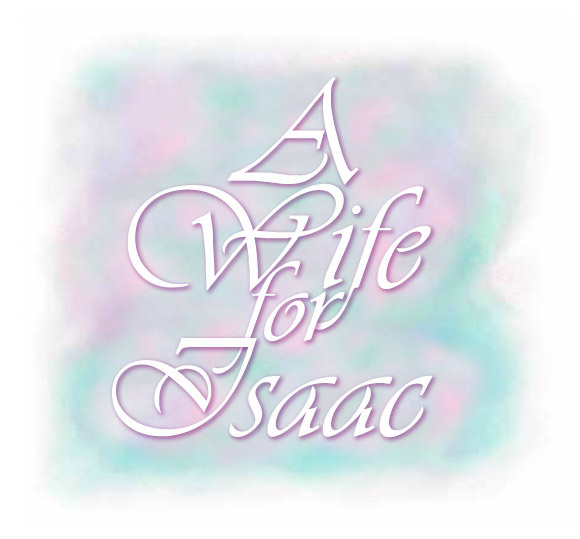 Was this the one God had chosen to be Isaacs wife? Rebekah answered, I am the daughter of Bethuel, the son of Nahor. Nahor was Abrahams brother! She was one of Abrahams own people, just as Abraham had asked. We have plenty of straw and fodder, as well as room for you to spend the night, she said. And then he gave Rebekah heavy gold bracelets for her arms and a golden ring for her nose. Rebekah ran back to her mothers house. When Rebekahs brother Laban heard Rebekahs story, and saw the gold ring and the golden bracelets, he ran out to the stranger at the well. The camels were unloaded and straw was brought for them to eat. Laban brought water for Abraham servant and his men to wash their feet. And then he brought a delicious meal and set it before them. I cannot eat until I tell you why I am here. Abrahams servant said. Please, tell us, Laban said. Abrahams servant told Laban and his family the whole story. When Abrahams servant heard this, he bowed down to the ground before the LORD. Then he brought out more gold and silver jewelry and other costly gifts and gave them to Rebekah. And he gave treasures to her brother and to her mother also. I will go, she said. One evening some time later, Isaac was out in the field meditating when he heard the sound of camels approaching. He looked up. At that moment Rebekah also looked up, and their eyes met. Who is that man in the field coming to meet us? Rebekah asked Abrahams servant. He is my master, the servant answered. Isaac ran up to the travelers, and Abrahams servant told him all that had happened. Isaac took Rebekah by the hand, and soon after she became his wife. God had brought the two together, and they loved each other deeply.